Make your commute much more exciting, by getting behind the wheel of one of our nimble and efficient new SEAT Mii cars here at Motorparks. The first thing you will notice when you glimpse upon the SEAT Mii is just how small it looks, making it great for navigating tricky bends and tight streets in built-up areas. Despite the nimble design, the new SEAT Mii comes packed with such handy technological features as a handy satellite navigation system, Bluetooth capability and extremely reactive rear parking sensors. So what are you waiting for? 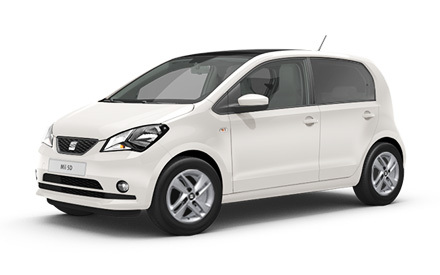 Make an enquiry about any of the new SEAT Mii cars you see below online without delay. Motorparks is also your one-stop shop for locating used SEAT Mii cars, including models that have only recently came off the production line.